Automatic Glassine cake tray machine manipulator clip paper, feed, release paper, punching, discharge etc. Cake tray making machine can replace the mold, simple structure, inverter, auto temperature controller do different size of cake tray, easy to operate, efficient and stable operation. 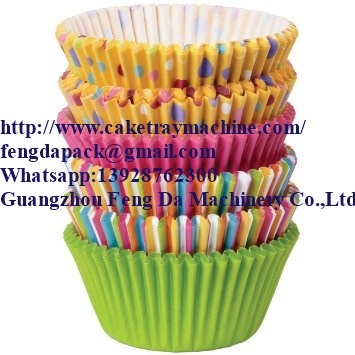 Cake tray forming machine is an ideal paper cake trays, paper food trays, paper cake cups, paper food dishes, cake pans, cutlery and containers of cake. Our machine quality assurance for one year. We will provide you with enough parts for one year of operation. We can also send technical personnel to the customer's plant, to help in the installation cost of the buyer. And above, we also offer 24-hour online service. We will provide the most professional advice to help you start and grow your business! We assure you of our best services at any time.